At El Caminito, we have the tacos near you that you’re looking for. We are conveniently located in downtown Sunnyvale and ready to serve you the most authentic, best tasting tacos you’ve ever experienced. Look no further for tacos near you. El Caminito is already cooking up tacos with carne asada, pescado, pollo asado, and carnitas. We know how much you love authentic tacos, so we always have them ready to toss them on the grill to serve you quickly. We serve a lot of tacos, but we also have a full menu serving up favorites such as burritos, nachos, quesadillas and enchiladas. Of course, the menu covers all the most popular Mexican food dishes, along with steak and seafood dinners. You can stop by to pick up your order or you can use Uber Eats to have it delivered. Uber Eats will take your order and have it to you as quickly as possible. We wouldn’t want you to have to wait very long for deliciously spicy, authentic tacos. Tacos are one of the most popular items requested by those who use us for a catered meal for their group. Whether you’re heading a meeting at a Silicon Valley tech giant and need to order in, or you’re hosting a party for your buddies for a big game, we are here to help. Catering can be done two different ways. You can place an order for catering and we will step up steam tables filled with deliciously spicy Mexican food and provide paper service. Or you can place a big order for pick-up. Place the order however you find it most convenient. 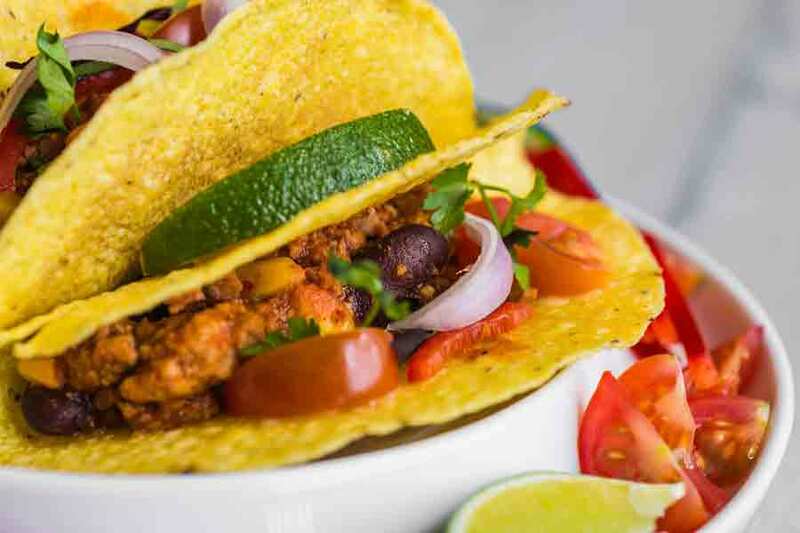 You’ll find that these tacos near you at El Caminito Mexican Restaurant are authentic and everything on the menu is made fresh daily. Give us a call or stop by to place your order. We are open 7 days a week.